Yes, I ordered another Rickshaw Bagworks Moleskine folio! 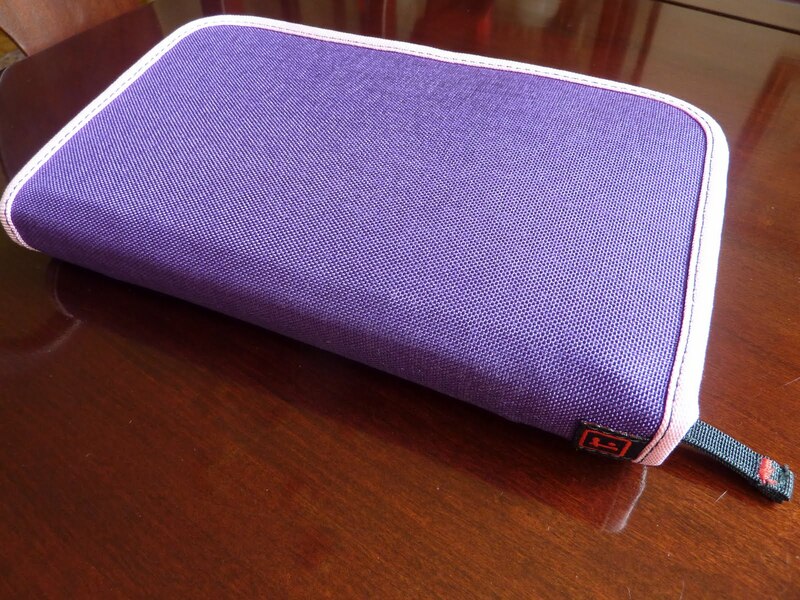 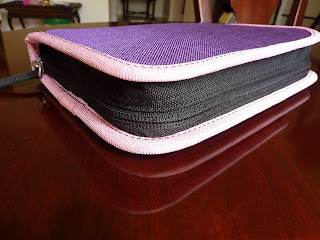 This time I got the folio to fit the Daily planner, in the same Iris (purple) and pink color combination that I love! Be sure to notice, the Daily planner folio comes with an interior pouch for a smartphone. 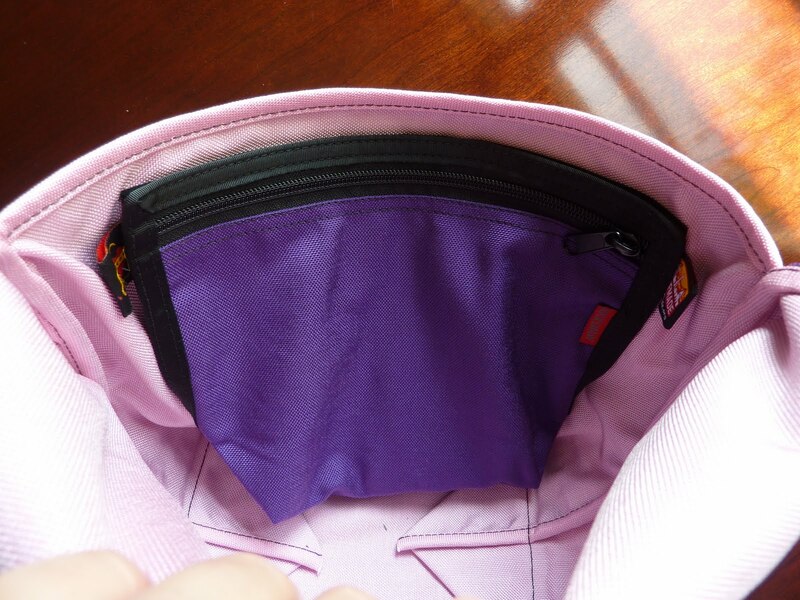 There's also a generously-sized pen pocket that can hold a fat pen or a couple of thin ones. 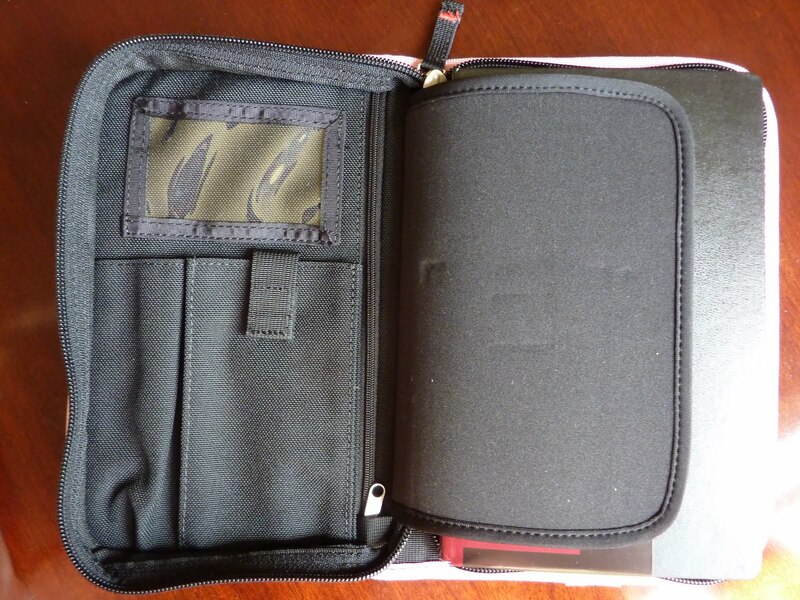 It also has the interior zip pocket that I love so much for holding passports and other important stuff. 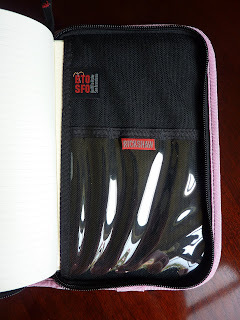 In the back of the folio there's a clear pocket for holding papers etc. There are 3 types of Folios: Classic (which you can see my review of here) that has lots of pen pockets and fits the Moleskine notebook or weekly planner; Smartphone that holds your phone and also is sized to fit a Moleskine notebook or weekly planner; and Daily which has a smartphone pocket and is thicker to hold the Daily Moleskine planner. 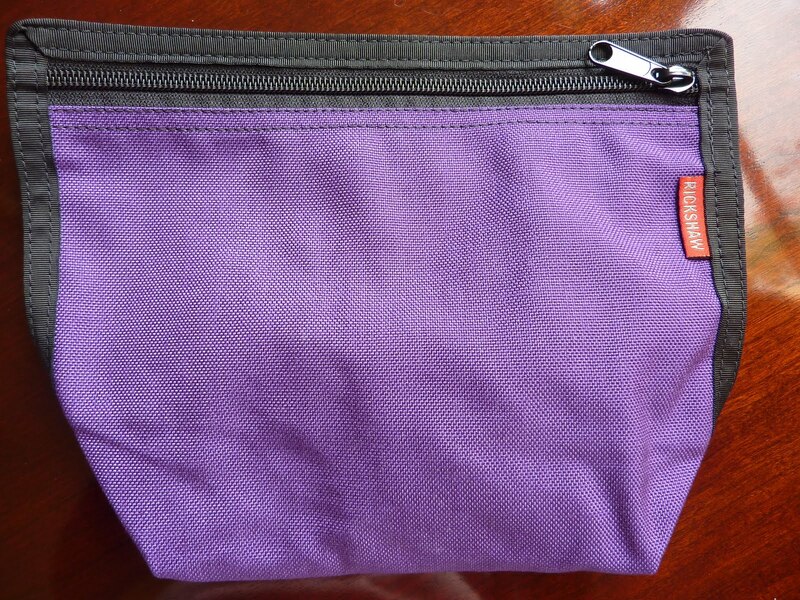 Also for fun I got a Simple Pocket for my Zero Messenger bag (again, in that Iris color that I love so much!). 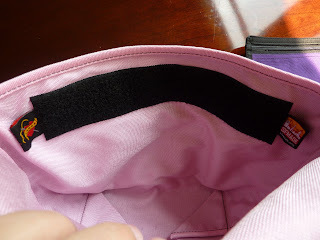 It sticks onto the velcro strip that is already inside the bag. 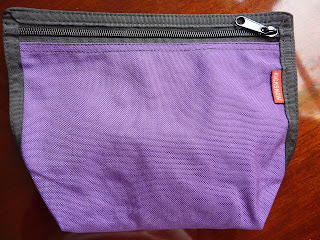 This zip pocket is perfect for those small important things (like my keys) that might escape if my bag gets overturned. 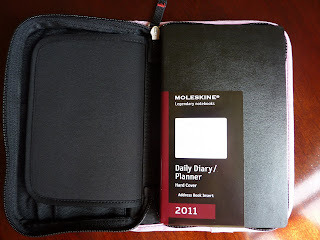 Here is my small Zero bag along with my matching Daily planner folio! 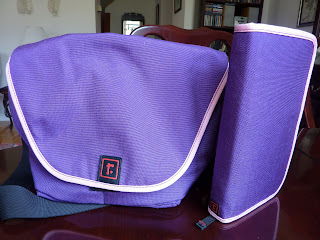 I love the matching set!